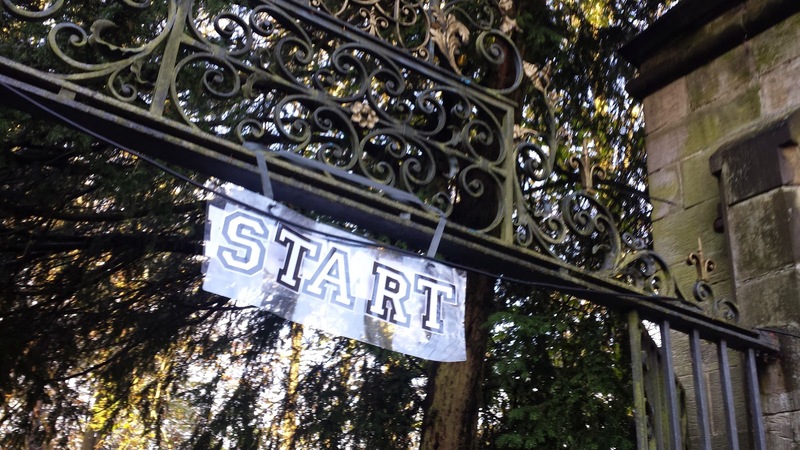 The inaugural castle to castle 5k (which turned out to be 6.8k) was held on 9 November 2014 in aid of the Bethany Gaia Memorial Fund. The story behind the fund is heartbreaking. 17-year-old Bethany Freeman was tragically killed when a tree fell on a caravan she had been sleeping in. She was a keen sportsperson and from chatting to a few people at the event I found out that she was a remarkable person. I never knew her, but I think being a father myself, the story compelled me to enter the event to try to help in some way - even if it was only a little money through my £10 entry fee. From that text I figured that it must be offroad and that trail shoes would be required, so I left home with my trail shoes in one hand, a bunch of bananas in the other, and a change of clothes in my backpack. 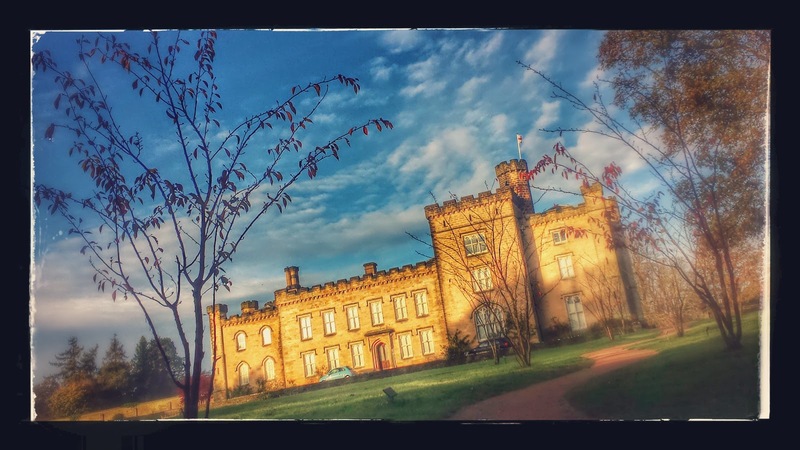 I programmed the sat nav app to take me the Chiddingstone Castle and off I went. It took about 40 minutes to reach the venue from Dartford and while standing in the car park I wondered if I had turned up in the wrong place or on the wrong day. Fortunately, one of the marshals for the day arrived shortly after me, made a few phone calls and pointed me in the right direction. Once in the centre of Chiddingstone I headed into the village hall to pick up my number, where I also spent some time chatting to some of the volunteers. Also picking up numbers were the other entrants, a good proportion of whom were kitted out in their full rambling gear. In order to be as inclusive as possible, the course could be covered as a runner or as a walker. Dogs on leads were also welcome. The weather on the morning was glorious. You could describe it as a perfect autumn morning. It had been raining in the week or two leading up to the event and the ground was pretty wet. 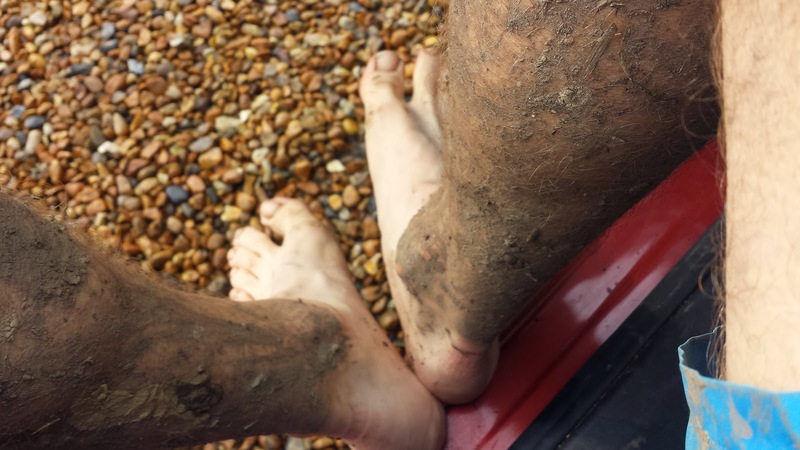 At this point I suspected that I could be in for a pretty muddy run, and after the 'run manager' had given us all a very indepth course description, he confirmed that it was indeed muddy out on the course. Shortly after this, and in a very relaxed manner, we were sent on or way. 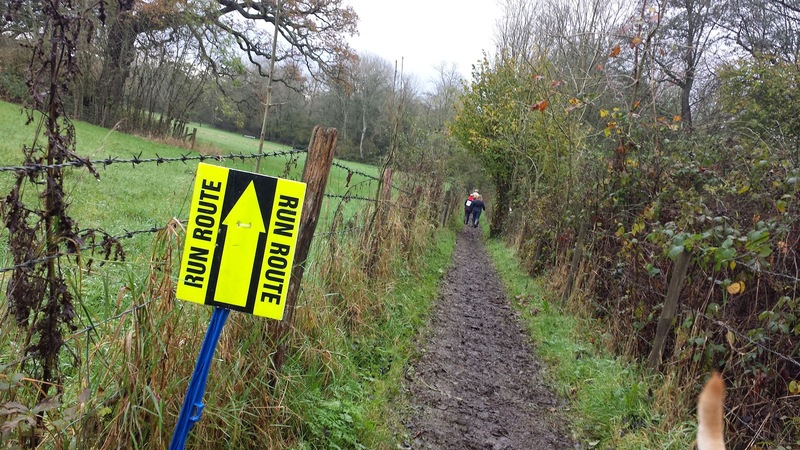 The run started by running through the grounds of Chiddingstone Castle and within a minute or two the first signs of mud had appeared as all the runners did their best to stay upright as we approached the first of the wooded areas. 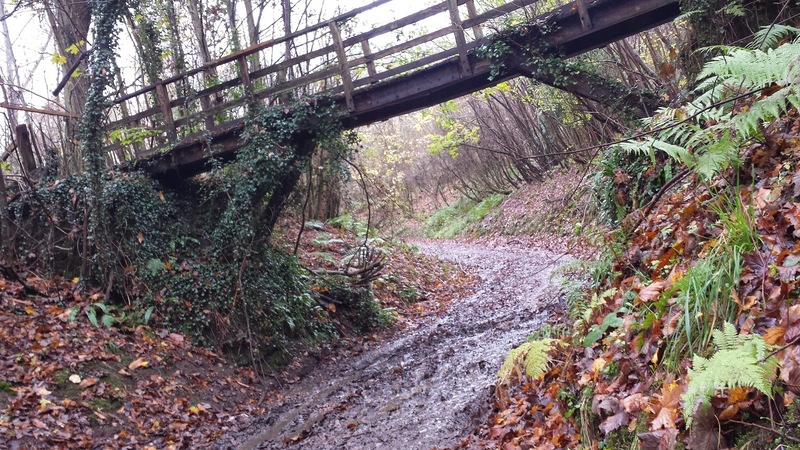 The run continued on slightly undulating terrain through fields, country paths and across a marshaled country lane until reaching the boundary of Hever Castle. Here it was case of opening (and closing) the gate (I got a little confused here) and continuing over a wooden bridge - there were a few of these bridges throughout the run. The grounds of Hever Castle consisted of a lakeside section, a tight, twisty section on tarmac through the formal areas near the castle itself and then long slippery incline that lead the participants back out of the grounds. 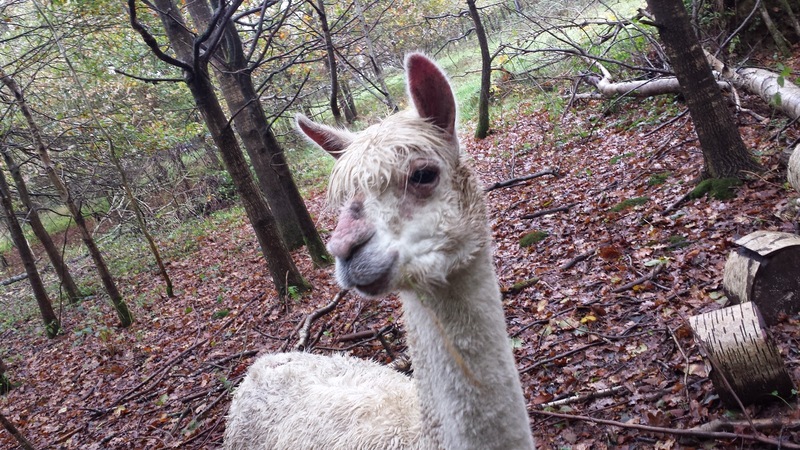 Shortly after this, there were some pigs, chickens and alpacas to say hello to as the route took the participants down a narrow single track section. The course got even muddier here, and further along this section there was a stream of ankle deep water running across the path - great fun if not a little cold on the feet afterwards. There were some steps shortly after this and then more even more mud on a long downhill section. 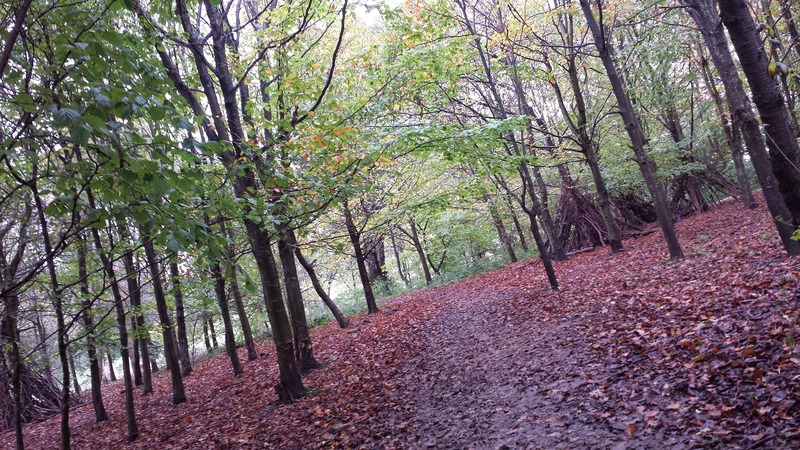 The countryside was indeed looking very pretty, especially as the autumnal colours were out in force. 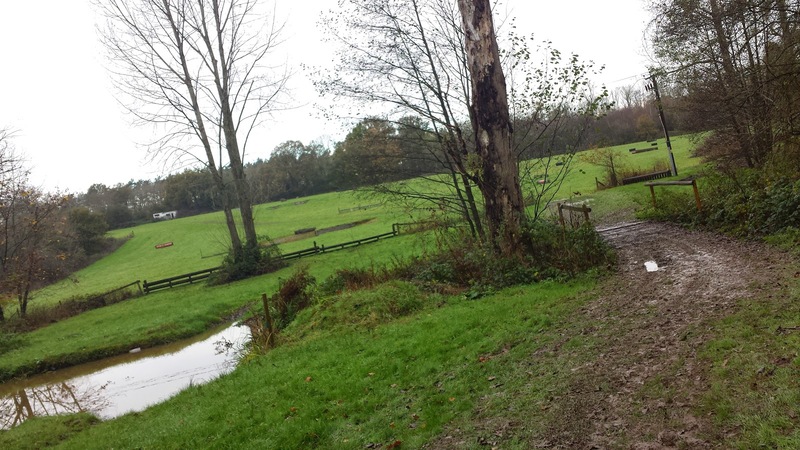 As the final section of the run was reached, the course took to one of the undulating country lanes which lead all the way back to the Chiddingstone Castle where a sharp right hand turn lead the runners up the access road towards the car park, past the castle and the across a bridge and over the finish line. The run was so chilled out and there was no official timing or medals etc, so once across the line I grabbed a drink, posed for a photo with the two very fast youngsters that had finished just before me and had a little chat. 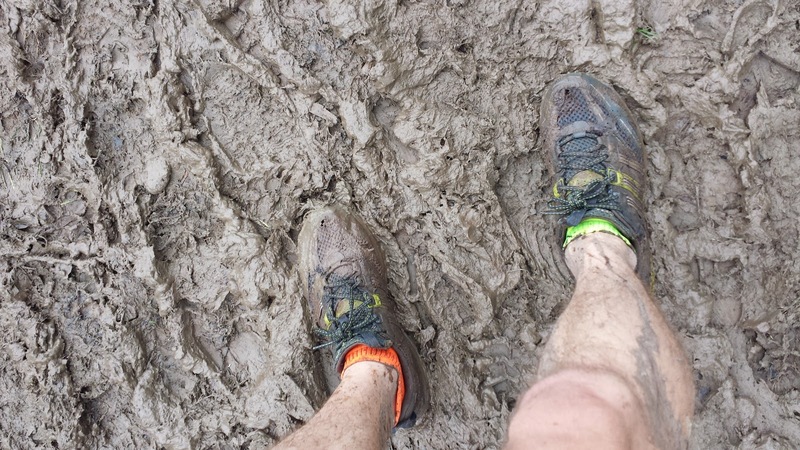 It was at this point that I decided that I fancied running the course again. So off I went, this time I ran a little slower and used it as an opportunity to take some photos for the blog. 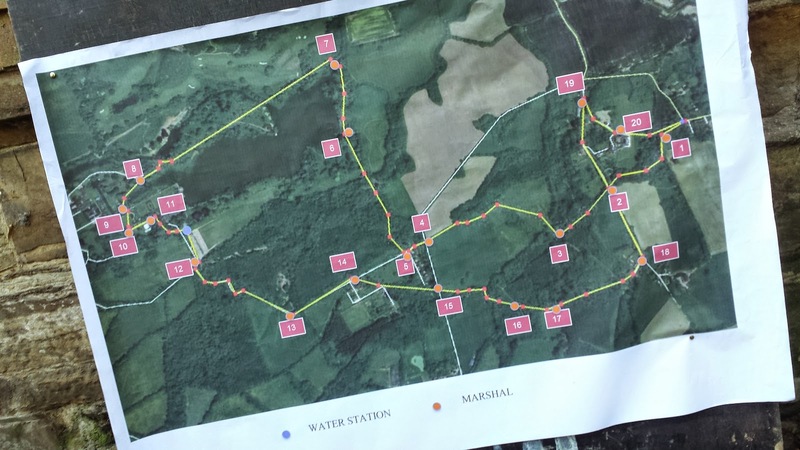 One of the marshals gave me his copy of the course map in case I got lost - fortunately I didn't and I was able to hand it back to him as I passed him towards the end. By the time I arrived back at Chiddingstone, it was almost 11am. So I stayed around to observe the 1 minute remembrance day silence. Somewhere in the distance I could hear the a bugle player playing the last post. After this I had to leave, but as I understand it, there was a service in the local church that most of the participants, family and organisers went to. When I arrived back at the car, I realised that I hadn't brought a towel to dry my feet AGAIN. I always forget. I really should just leave one in the car. 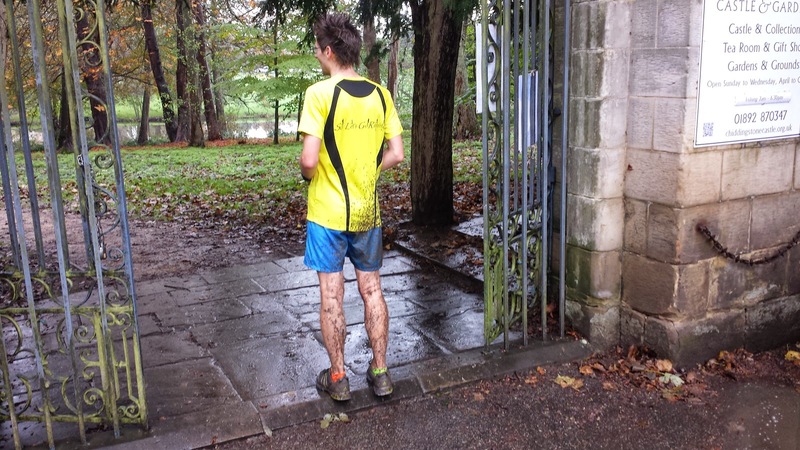 As far as the run was concerned, it was a great cross country course with a few ups and downs, and lots of mud and puddles. It wasn't clear whether this would be a one-off event or something that could be repeated in future years. I hope it does continue because it was such a great run and I would love to do it again. Either way I am glad that I was lucky enough to have had the opportunity to be a small part of this event.